We were out to dinner with our friends Patti and Pat the other night and Patti shared with me that sheâ€™s taking a writing class at her church. Iâ€™ve never known that Patti had an interest in writing, so I was fascinated to know that this is a class in lifestory writing â€“ a topic thatâ€™s been very much on my mind lately. I also discussed it with a friend who works at the Jewish Home for the Aging in Los Angeles, suggesting they offer a class for the folks who live there. As people age, we mustnâ€™t lose their stories. We must find a way to record and save their stories for future generations. I would love to teach the class should the Jewish Home decide to offer it. Writing life stories has become all the rage. Weâ€™re in the so-called Memoir Revolution with volumes written about how to write your life story or memoir and how to produce it into a book. One in particular is Sharon M. Lippincottâ€™s The Heart and Craft of Lifestory Writing: How to Transform Memoires into Meaningful Stories. Iâ€™ve been journaling for years, and I wrote and had a memoir published, Leaving the Hall Light On: A Motherâ€™s Memoir of Living with Her Sonâ€™s Bipolar Disorder and Surviving His Suicide (Dream of Things, 2012). But, Iâ€™m thankful to say, a long time before I even started to tell my story, my husband Bob began his over thirty-year journey to write down our family history. I thought Iâ€™d share what motivated him to spend so much time on this project and how he managed to get the information that went into it. It all started because he loved hearing my uncle telling stories about his familyâ€™s escape to Russia from Lithuania during World War I. Pretty soon Bob began writing these stories down with pen on paper. Later on he taped Uncle Dave and my mother who had encyclopedic memories about their life in Eastern Europe and their eventual immigration to the United States with their mother and other four siblings. Soon he realized how many people in both our families had gray hair, reminding him that they wouldnâ€™t be around much longer. So he decided that if he didnâ€™t get them to tell him their stories soon they would eventually be lost. He also used Ancestry.com to gather data related to the familiesâ€™ journeys to America, he hired a genealogist to help him get facts about his fatherâ€™s family in Blackburn England, and he traveled to Lubeck Germany where he found meticulous birth and baptismal certifications for his motherâ€™s parents. Luckily some members of my family â€“ my mother, my motherâ€™s uncle and cousin, and my aunt on my fatherâ€™s side â€“ also wrote their stories down. Bob used these typed documents and a multitude of photos from both his and my families to flesh out the researched material. His father told a lot of stories about living in New England in the early 20th Century. 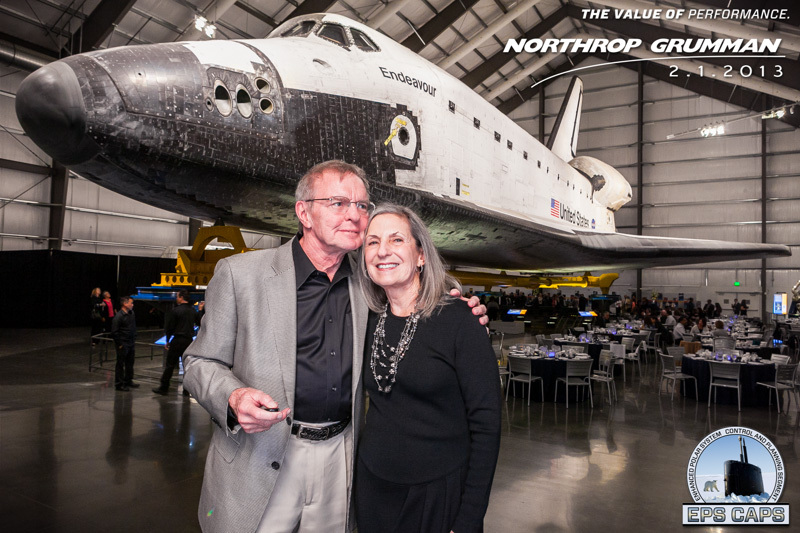 Bob spent the first twenty years collecting data in between working full time as a program manager in the aerospace business. And then for the next ten years or so he stopped working on the history all together. By that time most of the older generation â€“ his best resources â€“ had died, and he had to find others in the family who could fill in some blanks. My one surviving aunt and my cousin did a lot of that work â€“ although my cousin insisted that Bob edit out the material about his fatherâ€™s and our familyâ€™s mental illness. Bobâ€™s cousin also helped him identify many family members depicted on a photo taken in 1928. But because it took so long to write and produce into two volumes â€“ one for his family and one for mine â€“ Bob was bitterly disappointed that both our brotherâ€™s died before they had a chance to read it. He feels he shouldnâ€™t have sacrificed timeliness for accuracy. He is also disappointed that so many of the extended family members didnâ€™t really care to read it at all. Bob felt writing a family history was well worth it although in a sense he did it for himself. He needed to record the old peopleâ€™s stories before they died. And he was successful in doing that. He became the familyâ€™s historian and is widely recognized for his accomplishment. He also believes he has left a legacy for those younger than us. Otherwise how will they know where they came from? Although Bob stopped the histories just at the point of our marriage in May 1970, he wants to write a third volume to record the events since then. He also churns about what to do with all the family photographs â€“ the hordes that came from my mother and uncles and his cousin. Fortunately our own family photos have been organized and digitized. The rest need to be as well. That is another daunting job that will help complete the legacy he will leave to our familyâ€™s younger generation. My advice is to start writing your own life stories now. Take a class as my friend Patti is doing, grab Sharonâ€™s book to get some great prompts and examples, or just sit down and write. Your children and their children will be glad you did. (portions of this article were originally published at PsychAlive. Madeline, I totally agree with you about capturing family stories while you can I interviewed my Dad about eight months before he died in 2010 and have added several vignettes to.my memory bank. Your husband has worked long and hard and I’m sure you have a treasure trove of stories. Thanks for a lovely post and a great reminder. BTW, you would be an excellent life story teacher and I hope they ask.you! I’m glad you’re writing down your stories. That’s the best way to keep them in your memory bank. There a site called Storylane that has a lot of great story prompts. It’s a way of getting your stories out bit by bit until your memoir comes out – which I can’t wait to read.